Going strong for more than 30 years, Samuel L. Jackson, 63, and LaTanya Richardson, 61, met while they were both outspoken student activists in college. 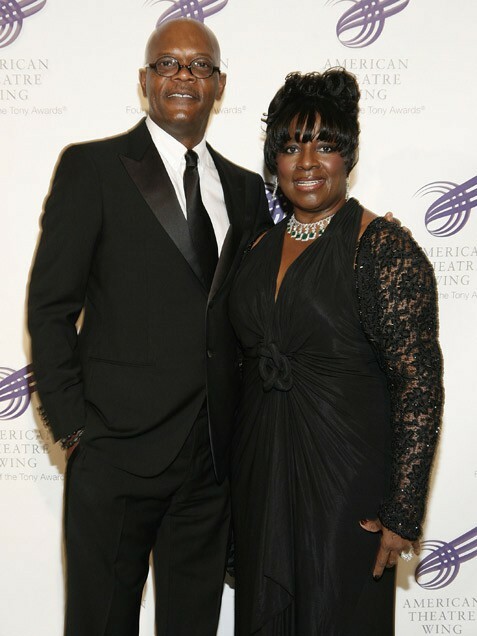 The duo (pictured at a gala in New York on Sept. 26) joined the same edgy student acting troupe and married in 1980, but it was Jackson’s star that rose, eventually landing him parts on Broadway and beyond. Yet it was Richardson’s quiet strength behind the scenes that helped Jackson quit drugs and rocket to the A-List while raising daughter Zoe. "They did something that a lot of other people don't," a friend of the couple told People. "They honor their commitment to stay together, for better or worse."